I'm a foodie. I'm a traveller. It is said that there are seven days in the week and 'Someday' isn't one of them. I believe in that and my belief has taken me places, and has shown me things. I like the concept of ‘today’. Today is the day I travel, I experience new things, taste new flavours and sample new food. Today is also the day I choose to pursue my dreams and give wings to my passions, in the hope that they shall go on to make someone happy. And what better way to do that than by sharing all those lip-smacking tastes that made me happy, with as many people as I possibly can? All the products that I tried to sample locally were full of preservatives. 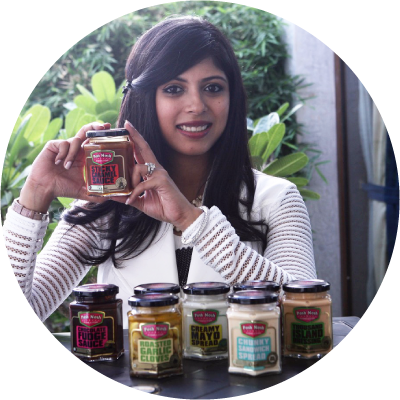 To me, the natural flavor of a product is very important, so one of the first calls I took was that everything from Posh Nosh’s kitchen will be preservative - free. I want to make sure that Posh Nosh can reach out to many, if possible everyone, and so each sauce is completely vegetarian. We don’t stop with that. The kitchen is our hallowed workplace where we ensure that every product created here is 100% vegetarian. Everything from our kitchen will be posh and nosh is another word for food. Other than loving the way these two words rhyme, they also come together to represent a company that brings you quality sauces of the highest standards. So that’s how a well-worn suitcase and a head full of aromas and recipes resulted in a venture that’s 100% vegetarian, 100% passion and 100% lip-smacking. 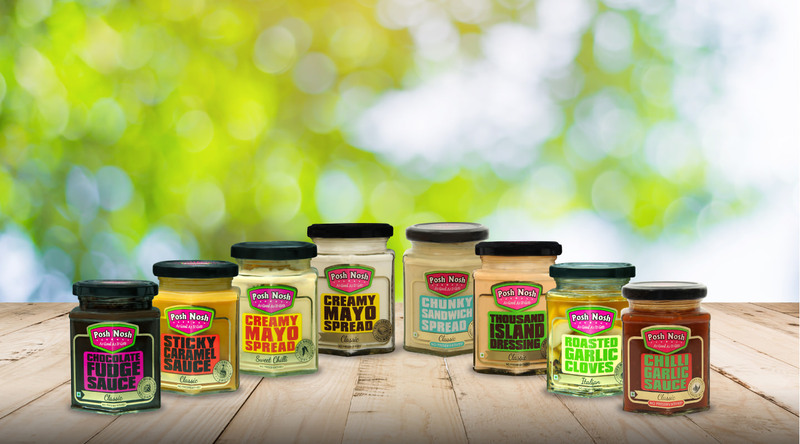 There’s so much one can make with Posh Nosh sauces - you can get pretty creative and come up with the piece de resistance that will leave your family and friends asking for more!